Mark your calendars! This is an exceptionally good year for Greek cinema, and we’re looking forward to presenting a fabulous line-up of engaging, well-crafted films. Two estranged brothers, one a successful television personality and the other a cab driver struggling to pay his bills, come together at a crucial time in their lives in this bittersweet comedy. Resentments and long-time disappointments melt away as the power of brotherly love helps them overcome their differences and teaches them a valuable life lesson. Two Hellenic Film Academy Award nominations, including Best Supporting Actor Fanis Mouratidis. Spiros Papadopoulos and Nikoleta Kotsailidou are expected to attend all screenings. 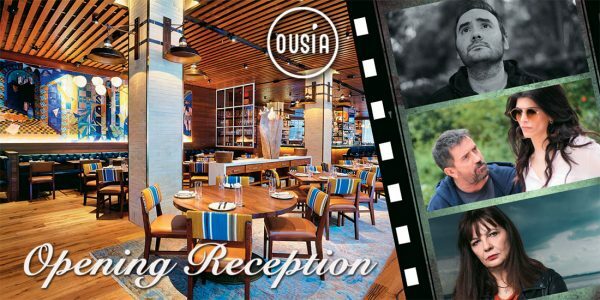 On Friday, April 27, immediately following the premiere of Jamaica, the Hellenic Film Society will host an opening reception at Ousia, 629 West 57th Street. We will be joined by the stars of that film, Nikoleta Kotsailidou and Spiros Papadopoulos, who also hosts the popular TV musical revue, Stin Ygeia Mas Re Paidia. We’re also expecting Dora Masklavanou (director, Polyxeni) and Vasilis Christofilakis (director, Too Much Info Clouding Over My Head). Tickets are required. LA-trained director Alex Sipsidis brings American savvy to this smart jigsaw puzzle of a movie, his audacious feature film debut. Following the theft of the fabulous Blue Queen diamond, one mobster after another tries to lay claim to the gem. Dishonor among thieves reigns supreme as the aftermath of the robbery is examined from four different points of view, each change of perspective adding new twists and turns to the level of intrigue. Adopted at a young age by prominent Istanbulites, Polyxeni seems destined for a life of privilege. When she rejects her adoptive parents’ choice of husband and falls in love with a young Turk, she challenges the expectations of those around her and becomes vulnerable to those seeking to destroy her. Inspired by a true story, this handsomely photographed and beautifully acted drama ultimately comments on one woman’s attempts at gaining self reliance and independence. Winner: Best Feature Film Youth Jury Award, Thessaloniki International Film Festival, 2017. 11 Hellenic Film Academy Award nominations, including Best Picture, Best Director, and Best Actress. Dora Masklavanou is expected to attend the April 28 and 29 screenings. In this award-winning film, described by its writer director as a “smart comedy with psychological depth,” a young superanxious movie director, with one failed cult film on his resume, is forced to raise money to film a screenplay he detests. The hapless hero’s only chance of coming out ahead hangs on his ability to ignore other people’s wishes and find his own path to success. Winner of three awards at the Thessaloniki International Film Festival 2017: The FIPRESCI Prize for Best Greek Film, the ERT “New Cinema” Award, and the Greek Film Centre award for Best Debut Feature. 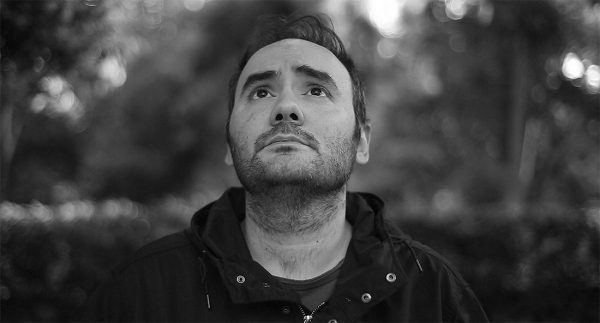 Vasilis Christofilakis is expected to attend the April 28 and May 1 screenings. 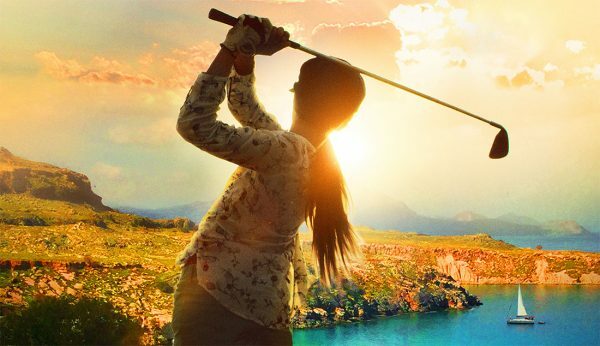 A troubled golfer travels to the island of Rhodes where she reconnects with her Greek roots, mentors a young girl determined to become a golf sensation, and rallies the townspeople to stand up against a greedy real estate developer who has designs not only on the local golf course but the village as well. This film is in English and Greek and is appropriate for family viewing. Three different stories of Greeks falling in love with non-Greeks in a time of social and economic turmoil form the core of this stunning drama. The three narratives unite in an utterly surprising way at the end, revealing how deeply and extensively social crisis can affect private lives. This film, a major box office hit in Greece, was released commercially in the US in 2017. This is the film’s first Long Island showing.